SimSimi is an artificial intelligence chat app. 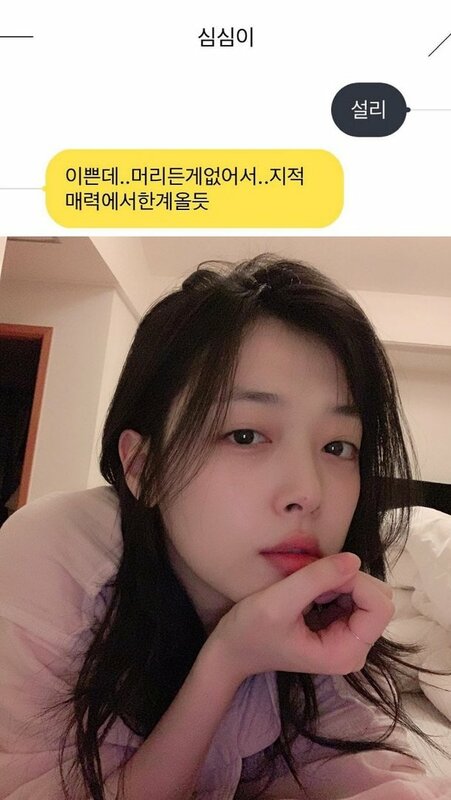 Sulli typed her name in, to which it replied, "Pretty... but nothing inside her brain. There's a limit to her intelligence charm." 1. [+534, -13] I want to try... The robot's as smart as the national science lab. 2. [+494, -15] She was fact attacked by SimSimi..
6. [+17, -2] It's okay, at least you're not a criminal. Nothing wrong with being a little dumb, there are tons of smart people who are psycho trash.